Take advantage of enterprise-class data management in the Azure cloud. Get the same enterprise data management capabilities in Azure as you do on-premises. This eBook explores the capabilities of Cloud Volumes ONTAP for Microsoft Azure. You’ll learn how to quickly deploy enterprise-class data storage in Azure and seamlessly manage all your cloud data as if it were in your own data center. It’s about as good as cloud gets. Data management poses challenges in the cloud. 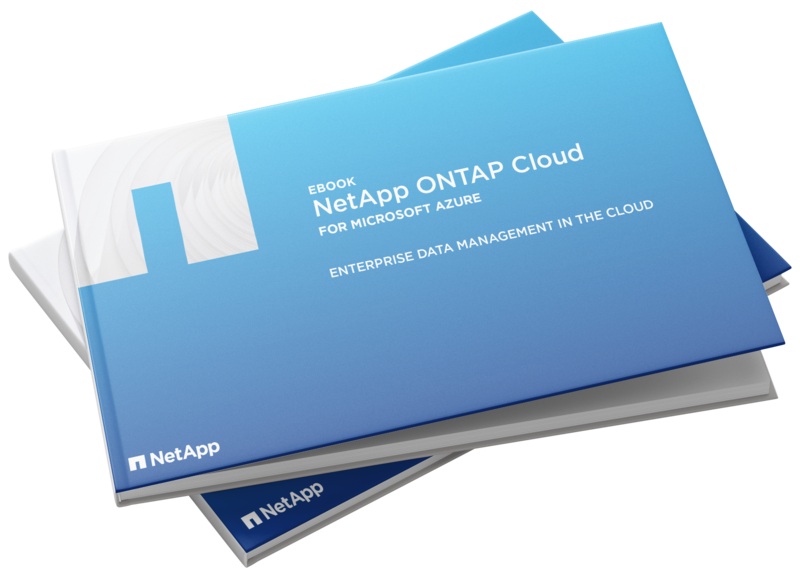 Learn how NetApp provides the advantages of ONTAP entirely within the Azure cloud. Get protection, visibility, and control over your cloud-based workloads in Azure. See why leveraging Cloud Volumes ONTAP can accelerate business transformation. Gain access to enterprise-class data management in minutes with a 30-day free trial. Discover the benefits for yourself.